Friday, February 01, 2019- You may have seen crazy things on live television but what this robbery suspect from Nyeri did on live TV just shocking. The guy was among suspects nabbed after breaking into a local bar and stole alcohol, television sets and CCTV cameras on Wednesday night. 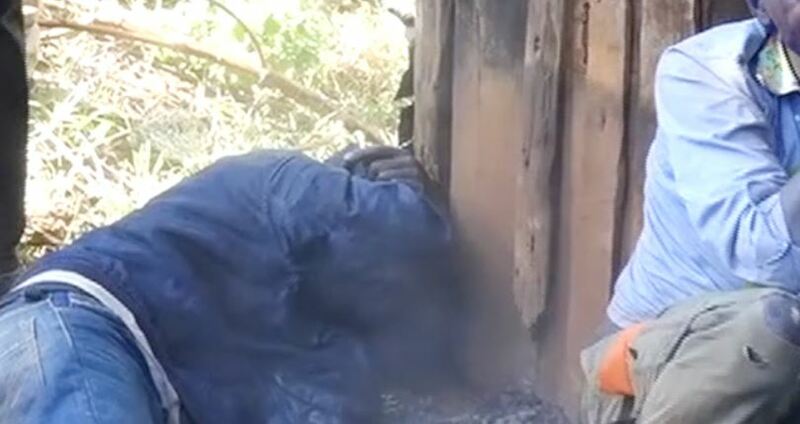 Police with the help of sniffer dogs, traced the burglars to their hideout in Majengo slums in Nyeri, where they were found indulging on stolen booze and recovered most of the stolen items. A reporter with a local media house was at the scene to cover the arrest when one of the male suspects was captured inexplicably head butting a wooden wall.